We’re happy to hear that it looks like the thief responsible for stealing not one, but two of Earley’s drawings has been caught! The alleged thief, Mikel Lemoine, 35, from the Rockaways, was arrested last week and charged with grand larceny after ripping off five other art galleries in the area. 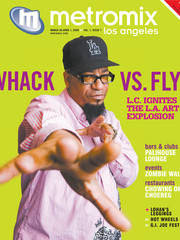 MetroMix and www.metromix.com have been super supportive of our gallery and the LA art scene in general and in the new issue that dropped all over LA today, my partner in thinkspace, L. Croskey, graces the cover along with a nice interview revolving around all he does with Cannibal Flower, his band Bittersweet, etc. 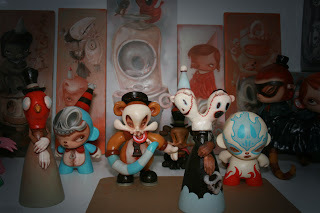 New Hi Fructose website launched! 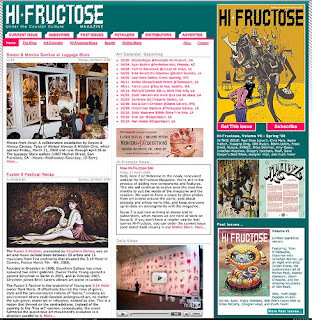 Hi-Fructose Magazine has just relaunched their site. Along with an awesome design courtesy of the one and only Ert O’Hara, the new site includes an art calendar, online store and at long last, a Hi-Fructose blog. Click on over now to check it out. Issue #7 is now on stands including features with KuKula, KMNDZ and many more – grab it!!! Posted on March 25, 2008 Author Andrew HosnerCategories Art NewsTags UncategorizedLeave a comment on New Hi Fructose website launched! 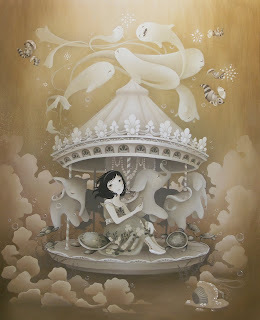 Amy Sol’s “Karmic Magic” – coming this June to thinkspace… look for more sneak peaks and additional details to follow soon.